For those who seeking a serene and nature atmosfere you can go east of Bali it"s Pantai Pasir Putih (White Sandy Beach) where there are only a few small eateries by the beach that offer simple menus and drinks around some chairs. The beach is located in Prasi village, Karangasem regency, and is about a two-hour drive from Denpasar, the capital of Bali. From the main road, the 5-kilometer ride through a forested area offers a scenic view of the surrounding green stretching all the way to the beach. Since eastern Bali is far from the city's hustle and bustle, there's no need to worry about the traffic here. Visitors have also come to call the beach Pantai Prasi or Virgin Beach. The beautiful panorama is at once apparent when entering Prasi village where the beach is wedged in seclusion between two cliffs, Bukit Bugbug and Prasi. Its crystal clear water, calm waves and a sloping shoreline makes the visitor want to stay here forever. It also offers a good spot for snorkeling and for enjoying nature's beauty under water. For another pleasant getaway, it is highly advisable that visitors spend at least one evening at one of the hotels in Candi Dasa, only 7 kilometers away from Virgin Beach by car or motorcycle. 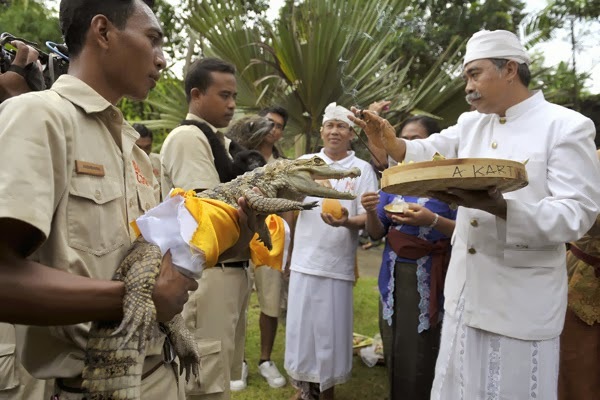 Besides its unique culture, Bali is very famous for its natural beauty. So, no wonder if natural attractions in this paradise island such as beaches are used to attract many tourists. Some beaches in Bali have been becoming favorite for tourists like Kuta, Sanur, Dreamland, and other beaches. That list will probably be added by a new member because recently, a new amazing beach has been opened and quickly become favorite for everyone. tourists. Fortunately, the local government of Badung Regency realized the potential of this beach and quickly managed this beach then launched it as a new mainstay attraction. The result can now be felt such as a better access heading to the beach which is now become more convenient for any vehicles. Pandawa Beach has a stunning panorama with serene and quiet atmosphere. When entering the beach area, we will be amazed by beautiful panorama of high cliff, flanking the road along 1.5 km. The road is purposively built through limestone hills in Kutuh Village, similar with the hills in GWK. Approaching the beach, these limestone hills are holed and carved artistically. In these holes, statues of Pandawa characters from Mahabaratha story are placed, such as Yudhistira / Dharmawangsa, Bima, Arjuna, Nakula, and Sahadewa. Therefore, this beach is called Pandawa Beach. When entering the area of Pandawa Beach, you will be madae astonished by beautiful view in front of you. 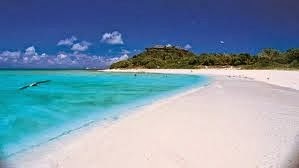 The sand in this beach is so white and clean which is combined with a background of turquoise sea. The ambience is still quiet, serene, and clean. There are no garbages, and if there is any, those are only the remains of seaweed brought by the wave. This beach is very suitable for swimming because the wave and current is not so strong. Various activities can be done in this beach for example playing sand or sunbathing. Because of its geographical location in the east of Bali Island, we can see the amazing sunrise panorama in this beach. In addition, we can also observe the activities of the seaweed farmers along the coast directly. Because of its shallow contour and short wave, Pandawa Beach is very suitable for cultivating seaweed. No wonder if lot of the local residents choose to be seaweed farmers. Besides that, there is also an interesting recreation activity around this area which is called paragliding. If the weather is fine and the wind is quite strong, you can see or try this activity directly. The location for starting this activity is actually not in Pandawa Beach, but in Timbis Hill which is not too far from this beach. Usually, this paragliding activity is done in day or afternoon time, if the weather meets the requirements. While you are paragliding, you will be able to see the true beauty of Pandawa Beach from the height. Don’t worry if you are a newbie or even a first-timer, because a training centre and instructors are available if needed. If you are interested in trying paragliding, you can go to Timbis Hill which is only a few kilometers away from Pandawa Beach. Dreamland Beach... Woa! Whoever coming here, the eyes will be greeted by beautiful panorama. The overlaying of white sand and a big wave presenting a fantastic view that touch every heart of tourists. This area is very clean with high cliffs in front of the beach. When the sun illuminates the sea water, it is like bluish beach. Moreover, in the afternoon, there is a dazzling sunset which can astound the tourists. The atmosfer of the beach is romantic and also very suitable for honeymoon or couple who just spending holiday. Dreamland Beach exist in the the area of Pecatu Graha, in Bukit Unggasan, Badung. 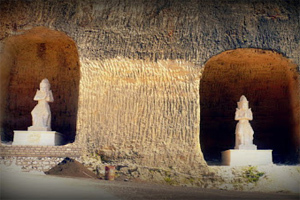 To go there, visitors can pass Uluwatu street where it is stil one lane with Garuda Wisnu Kencana. The trip to this beach takes about 25 minutes from Ngurah Rai Airport or 45 minutes from capital city Denpasar. The visitors can go by car or motorcycle. Entering parking area, the visitors only pay IDR 5.000 per vehicle. This beach offers good nuance and comfortable situation. Usually this situation is used by surfing lover who want explore the big and wonderful wave. Tourists that coming here also enjoy the scenery while sitting down or just laying on the sand. Even, this place once used as movie set and photo shooting for prewedding. “Most tourists who coming are foreigner such as Australia, China and Hawai. they choose this place because the situation is not too crowded,” said Wayan Supadmi the owner of artshop in Dreamland.